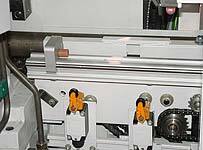 Saw carriages for use with high speed steel or carbide tipped saw blades are available. 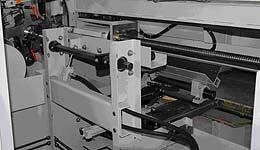 The cutting area is totally enclosed and electrically interlocked for operator safety. 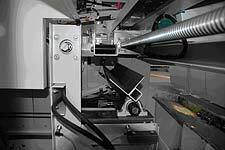 Chips are directed downward for easy removal by either a chip conveyor or a suction system. This tilt-type support table with length gauge is designed for cuts over 12". It is available in increments of 40". 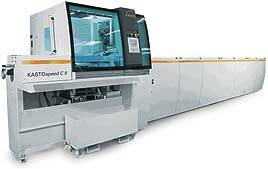 It is also used when interlinking with other equipment such as a deburring machine. 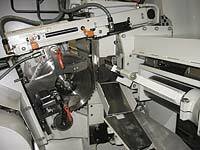 The cut pieces are supported during the cutting cycle and tilted out, after the cut is complete, onto a vee-shaped cut piece transfer unit. The transfer unit moves the cutoff to an area where it can be discharged into a customer-supplied container. The transfer unit is also designed to discharge trim cuts and remnant ends into a scrap container. The standard loading table can be adjusted to load rounds, squares and shapes. Loading discs transfer the bars from the storage table onto the infeed track. 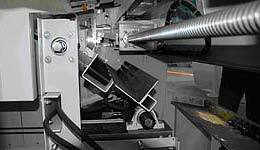 The material is positioned for optimal clamping and the shortest cutting path. Bundle unscramblers and flat loading magazines are also available. 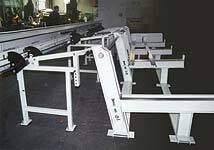 A pusher-type bar feeder is used in conjunction with an electro-hydraulic length gauge. 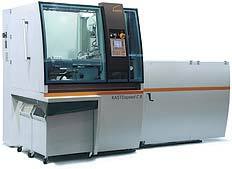 This assures maximum production rates and extreme accuracy. By pushing and measuring from the bar ends, marking of the material is eliminated. 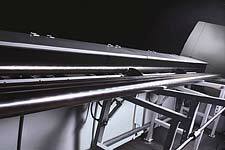 The pusher carriage on the KASTOspeed 9 traverses on an INA linear guide rail. 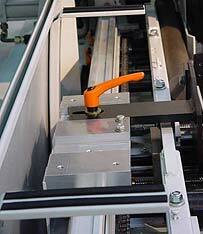 A bundle unscrambler can be added to our sawing machines. This enables loading of bundles into a cradle. 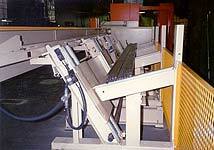 Chain operated feeders then separate and convey the bars to the escapement area. 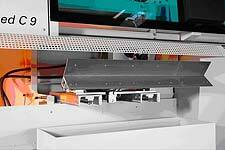 From there, the loading discs transfer one bar at a time onto the infeed roller track. For round bars or tubes up to 4,000 lb. bundles. For round bars or tubes up to 11,000 lb. bundles. Also available for squares and rectangles.